Peter Byrne recently sent an e-mail to Sony to express concerns over the design of its DualShock 4 controller. A college student, Byrne was born with Cerebral Palsy, a movement disorder that can often times result in poor coordination, stuff or weak muscles and tremors. 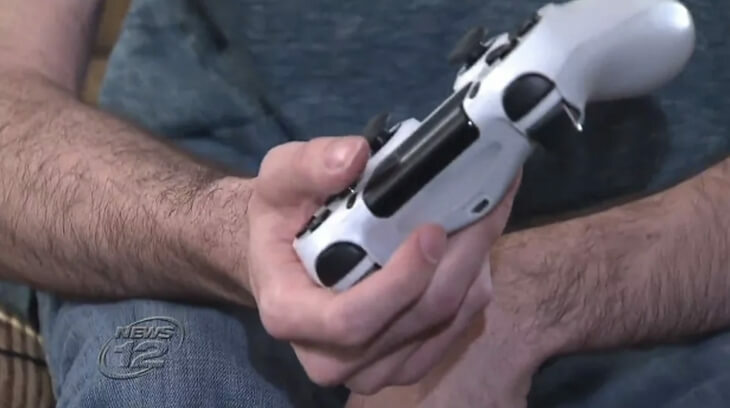 With his new PlayStation 4, Byrne found that the sensitive touch pad in the center of the DualShock 4 controller was interfering with his gameplay as he would inadvertently touch the pad with his hand and pause the game. A day after sending the message, Byrne received a reply from Sony employee Alex Nawabi who said he would tackle the matter personally (not on behalf of Sony). And that’s exactly what he did, investing more than 10 hours on the project. The end result? A custom DualShock 4 controller in which the center pad is disabled. Nawabi also installed a new button on the back of the controller to take over the pause functionality. In a letter to Byrne that accompanied the controller, Nawabi said it took three donor controllers to build the custom gamepad. Naturally, there’s no warranty to speak of but that’s alright. In the letter, Nawabi said he would build Byrne a second controller just in case the first one breaks. While Sony wasn’t directly involved in the project, it’s cool to know they are employing people like Nawabi that are willing to go above and beyond the call of duty to cater to gamers in need.